The advent of smartphones has opened up new ways for your readers to share your blog posts online. One thing that you can try is to include a ‘Share via SMS’ option on the mobile version of your website in addition to the option of sharing it via Facebook and Twitter. Link to SMS in action. I added this to one of my blogs and many of its readers liked that they can send the post’s title and url to a friend in a way that it will surely be checked out. 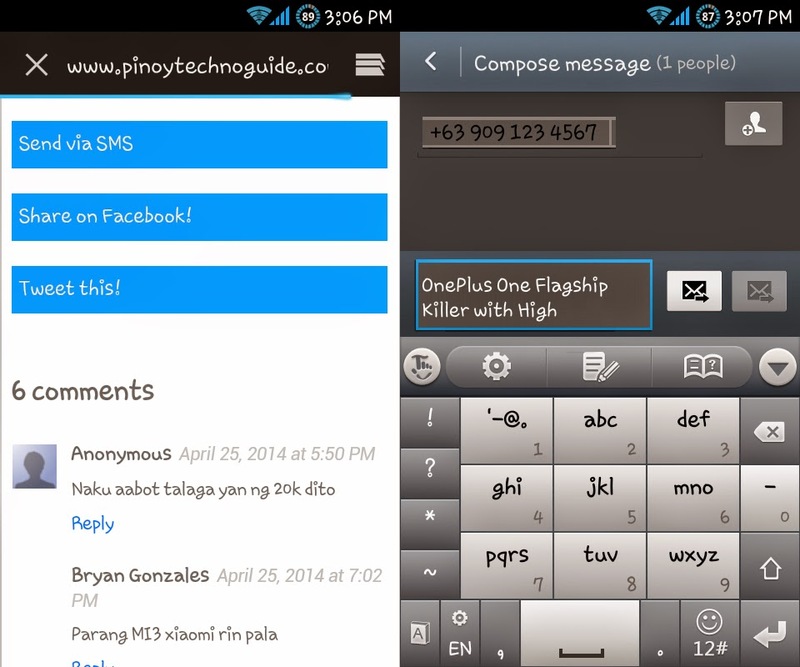 As what you can observe, the link opens up the SMS app on your smartphone. The number after sms: becomes the receiver while the text after ?body= becomes the message itself. Sadly though, the number is needed for this to work. For our purpose, we want the user to set whom to send this. I’m sure they can work it out that they have to replace the default number. Aside from SMS, you can also let your readers call you by adding <a href=“tel: +639091234567”> Call me </a> to mobile website. Let me know if you try this or if you want to add something.